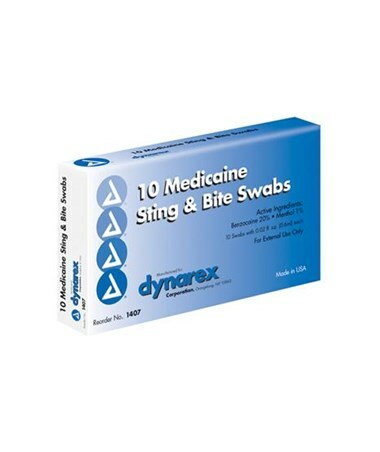 Dynarex Medicaine Insect Bite (swabs) are the perfect size to accomplish the task at hand. 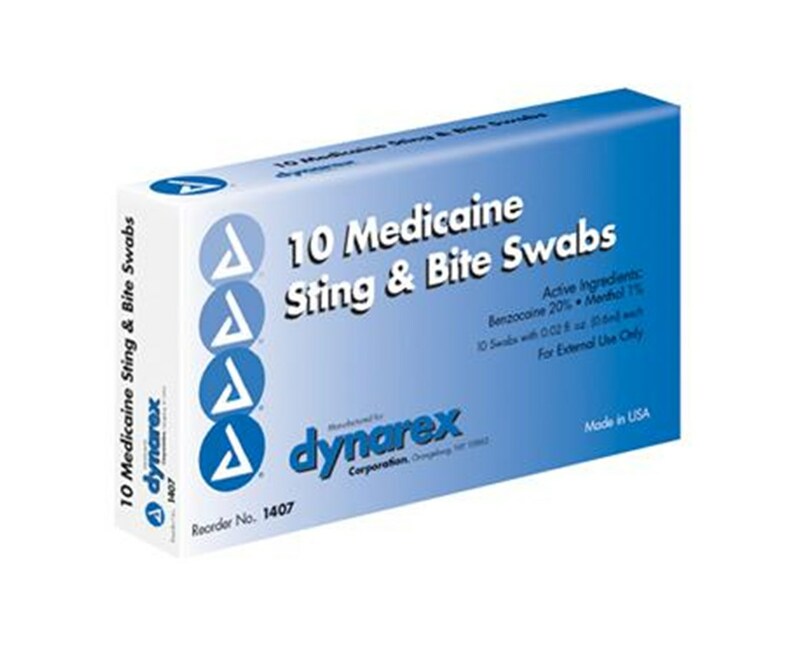 Packaged in a hermetically sealed swabstick , this single unit dose insect sting and bite treatment has an extended lifespan. 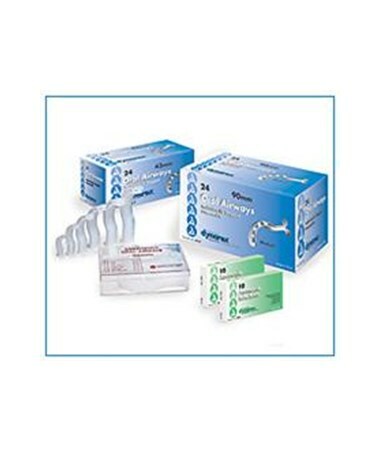 Not only is Medicaine Insect Bite ultra-convenient but it also provides significant economical savings.